zPoint Products was selected to present to a sold-out crowd at the recent Vancouer Enterprise Forum Cleantech Panel. 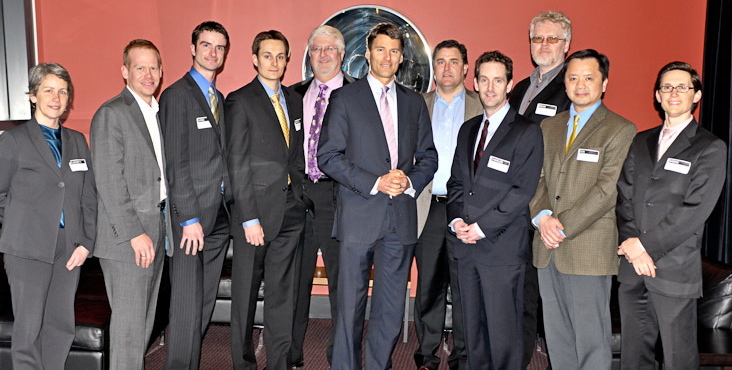 The session was opened by Vancouver Mayor Gregor Robertson. “It was an honour to be presenting our company and our products at an event that included both more established local cleantech companies such as Pulse Energy and dPoint, as well as industry gorillas like Cisco. The introduction by the Mayor and the presence of City Manager Sadhu Johnston on the panel shows the support Vancouver is providing to the burgeoning local Cleantech community”, said Charles Creighton, zPoint CFO and interim CEO.